Joel Matip is not better in the air than Virgil van Dijk. Pretty much anybody who has watched any period of a Liverpool game would be able to tell you that, but there’s a stat doing the rounds today which begs to differ! 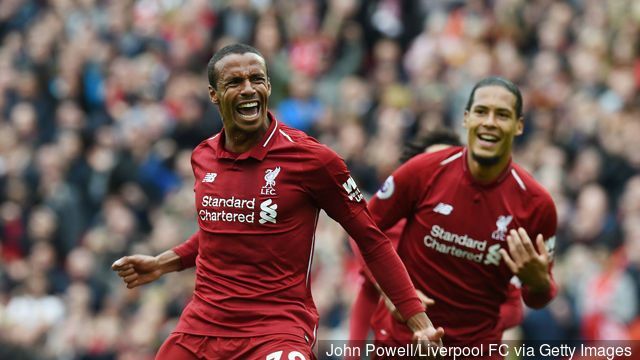 According to Bookie Insiders, who we imagine are getting their data from Squawka, Joel Matip has the highest percentage of aerial duels won in the Premier League this season with 73.17%. The Cameroonian, often called a 50p head due to his inability to direct a header, has been beaten less than anybody in the air! Van Dijk has only won 62.72% of his aerial duels, which just seems plain wrong, as we can’t really remember him losing a headed battle in his own box! In fairness, he doesn’t get on the end of it enough in the opposition area, so perhaps this is negatively affecting his numbers. It’s interesting to see our defensive midfielder Fabinho also in there on 65.96%, but really, this just shows us that stats don’t tell the whole picture.